Classic Casino Roulette Table with Colorful Poker Casino Chips. 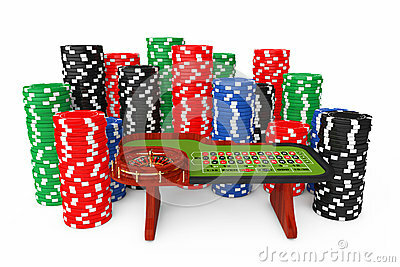 Classic Casino Roulette Table with Colorful Poker Casino Chips on a white background. 3d Rendering.